Getting ready to re-side your house? The value of an exterior remodel makes an ordinary home extraordinary and adds property value, something welcomed by all homeowners. Siding, too, can get damaged from winter snow and wind. And, replacing a warped or loose piece of siding is a home improvement project that can be completed on a sunny spring afternoon. If your siding is older, you might also consider updating your siding with a more energy-efficient and easy to maintain product, such as vinyl siding that helps insulate your house and is easy to clean with a hose and brush. When updating a home, one of the more durable improvements comes with attractive siding and trim on the outside of a home. Siding is much more than common vinyl planks. 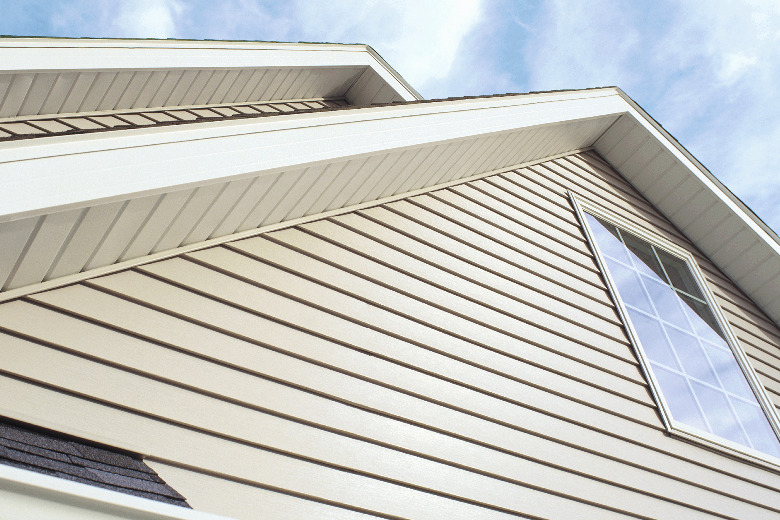 Siding comes in several categories and a variety of material options. The available choices of home trims and siding are growing. These include: metal, fiber cement, vinyl, and wood. In addition to siding, stone veneers and real stone offer a warm and updated look to your home. Trims are also an invigorating accent to a home remodel. Trims like moulding, bead board, or skirt boards brighten up the finish of your home. Deciding what colors and types is the hard part as, like siding, trim can be found in a variety of textures. Most trims are sold in a basic white but are easily painted. So be thoughtful when updating your siding!